Personalized Barbeque Sets in Bulk. Inexpensive, Promotional. Budget Prices in the USA, Canada. On sale! Production Time: 7-10 days from artwork approval; contact us if you need faster delivery. Barbeque Tools in bulk in personalized carry case. Our bulk barbeque tools are made of high quality stainless steel and provided with durable wood handles. The 5 piece barbeque tools set includes tongs, spatula, knife, fork and brush. Lowest prices in USA and Canada for promotional barbeque tools set. American clients pay no taxes. 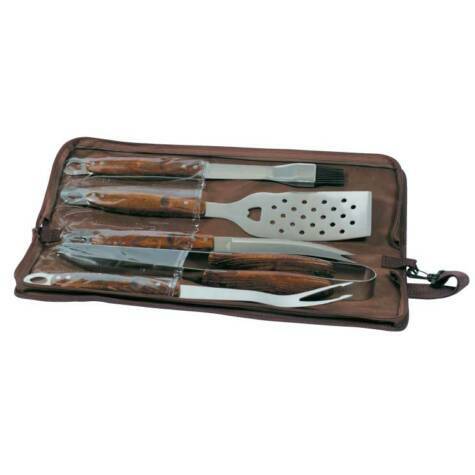 Top quality Custom Barbeque Set in personalized carry case. Our bulk barbeque tools are made of high quality stainless steel and provided with durable wood handles. The 5 piece barbeque tools set includes tongs, spatula, knife, fork and brush. Lowest prices in USA and Canada for promotional barbeque tools set. American clients pay no taxes. 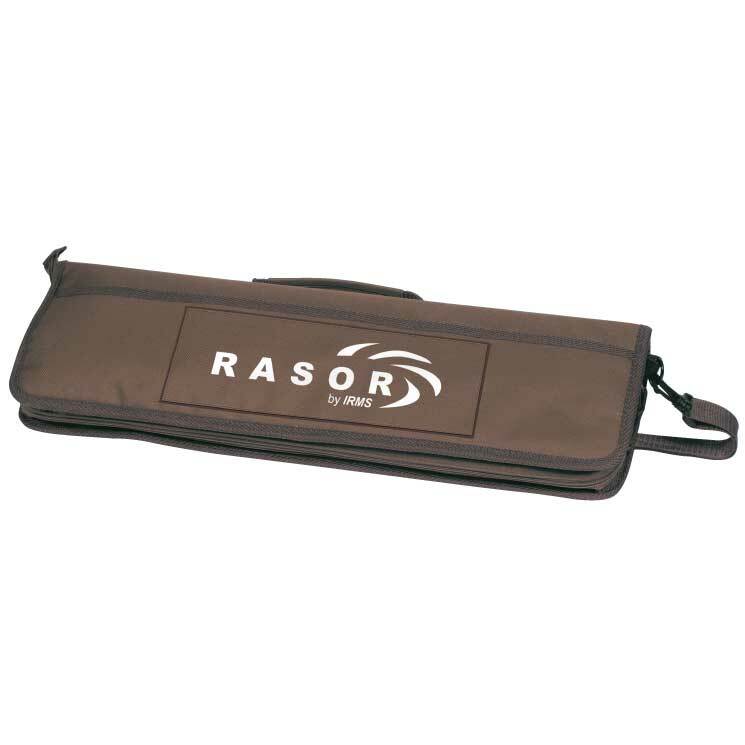 Zippered, heavy-duty nylon tote case with adjustable shoulder strap. Screen Printed in one-color, on front of nylon case. Imprint Area: 8" x 2.5"
See other models of Wholesale Promotional Products at the same clearance prices.